NEH has updated the guidelines for their two grant programs: Sustaining Cultural Heritage Collections and Preservation Assistance Grants for Smaller Institutions. Both programs have a deadline of January 31, 2019. The Sustaining Cultural Heritage Collections (SCHC) program helps cultural institutions meet the complex challenge of preserving large and diverse holdings of humanities materials for future generations by supporting sustainable conservation measures that mitigate deterioration, prolong the useful life of collections, and support institutional resilience: the ability to anticipate and respond to disasters resulting from natural or human activity. Institutions can accomplish this work most effectively through preventive conservation. Preventive conservation encompasses managing relative humidity, temperature, light, and pollutants in collection spaces; providing protective storage enclosures and systems for collections; and safeguarding collections from theft, fire, floods, and other disasters. Preservation Assistance Grants help small and mid-sized institutions—such as libraries, museums, historical societies, archival repositories, cultural organizations, town and county records offices, and colleges and universities—improve their ability to preserve and care for their significant humanities collections. These may include special collections of books and journals, archives and manuscripts, prints and photographs, moving images, sound recordings, architectural and cartographic records, decorative and fine art objects, textiles, archaeological and ethnographic artifacts, furniture, historical objects, and digital materials. Applicants must draw on the knowledge of consultants whose preservation skills and experience are related to the types of collections and the nature of the activities on which their projects focus. 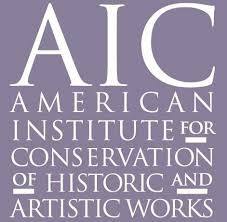 The Foundation of the American Institute for Conservation of Historic and Artistic Works (FAIC) is excited to announce that applications are open for the 2019 Collections Assessment for Preservation (CAP) program from November 1st 2018, with a deadline of February 1, 2019. The CAP program is open to small and medium-sized museums, zoos, aquariums, arboreta, and botanical gardens in the United States. Participating institutions receive funding for a general conservation assessment from a qualified collections and building assessor. The assessment is a study of all the institution’s collections, buildings, and building systems, as well as its policies and procedures relating to collections care. The two assessors work collaboratively to provide institutions with prioritized recommendations for improved collections care. Assessments consist of preparatory work, a two-day site visit, a written report, and a one-year follow-up consultation. CAP is often a first step for small institutions that wish to improve the condition of their collections or develop a long-range preservation plan, and can serve as a fundraising tool for future collections projects. Additional information on the CAP process, eligibility, and applications are available at www.conservation-us.org/cap. CAP is administered by FAIC under a cooperative agreement with the Institute of Museum and Library Services (IMLS). Spelman College has announced that it has received a $5.4 million grant from the Walton Family Foundation to establish the Atlanta University Center Collective for the Study of Art History and Curatorial Studies. In conjunction with Walton Family Foundation grants to fund scholarships at Morehouse College and Clark Atlanta University, the new initiative will result in the creation of an Art History major and Curatorial Studies minor at the Atlanta University Center. Aroha Philanthropies, the American Alliance of Museums, and Lifetime Arts has announced that 20 museums and organizations have been tapped to participate in a new initiative, funded and managed by Aroha Philanthropies, Seeding Vitality Arts in Museums. The more than $1 million project will enable these museums to develop and implement high quality, intensive arts learning opportunities for older adults. All three organizations feel there is an urgent need to change the narrative about what it means to grow old in America, combat ageism, and promote a healthy change in societal attitudes toward aging as growth and older adults as contributors. 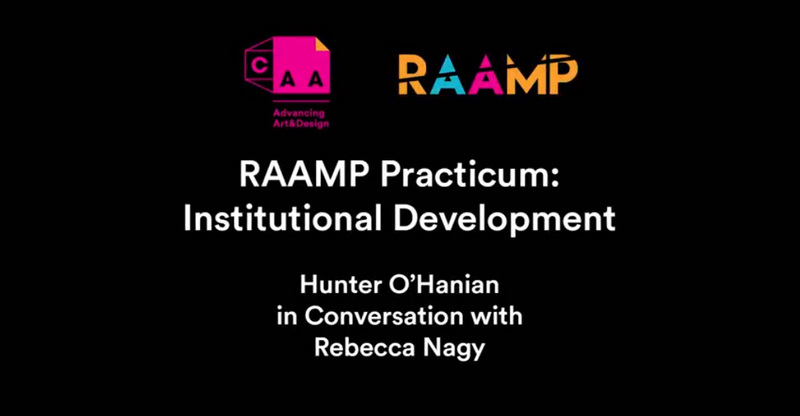 Hunter O’Hanian in conversation with Rebecca Nagy. Attention Part-time Faculty & MFA Students: Submit a Workshop Proposal for CAA 2019! If you’re a New York-based MFA student and/or entry level, part-time faculty member, there’s still time to submit a proposal for a Professional Development Workshop at CAA 2019, generously supported by the Emily Hall Tremaine Foundation. The deadline for twenty professional development workshops is now September 14. A major U.S. foundation, group of private donors, and Christopher Cardozo Fine Art are donating complete sets of an artisanal Republication of The North American Indian by Edward Curtis to 12 tribal colleges. The donation includes several hundred contemporary Curtis photographs, and a curated, digital collection of materials originally created by Edward Curtis for his landmark photoethnographic publication. With an aggregate value of over $500,000, the donation is being made in recognition of the 10,000 Native Americans who collaborated in the creation of the original publication, and to support current efforts by Native people to reconnect with their history, culture, and traditions. CAA has received a major anonymous gift of $1 million to fund travel for art history faculty and their students to special exhibitions related to their classwork. The gift will establish the Fund for Travel to Special Exhibitions, a new program to be administered and juried by CAA. The Getty Foundation announced the launch of Conserving Canvas, a new initiative that aims to ensure that critical conservation skills needed to care for paintings on canvas do not disappear. Conserving Canvas will keep much-needed skills alive through a number of grants that support the conservation of paintings, workshops, seminars, training residencies, and a major symposium. The initiative’s initial projects support the study and conservation of world-renowned works on canvas, including Thomas Gainsborough’s The Blue Boy (1770), Anthony van Dyck’s Equestrian Portrait of Charles I (1637-8), and François Boucher’s Vertumnus and Pomona (1757). The inaugural Conserving Canvas grantees include The Huntington Library, Art Collections, and Botanical Gardens, San Marino, CA; the National Gallery, London; Fine Arts Museums of San Francisco; Statens Historiska Museer, Sweden; Stichting Restauratie Atelier Limburg, the Netherlands; University of Glasgow, Scotland; and Yale University.